Vaulted ceilings, tons of natural light and great location! Short term lease considered. Welcome to 139 McIntosh! This mid-century modern meets traditional home has a wonderful layout for everyday living as well as entertaining. Enjoy the wraparound deck in the summers and the island seating and open floor plan throughout the year! All three upstairs bedrooms are a good size with vaulted ceilings and tons of natural light. Down a few steps to the office, another family room and powder room. Lower levels offers a rec room/exercise room, laundry and storage room. This home has so much space inside and out! Close to everything - award winning schools, incredible park, Metra station, downtown restaurants and shopping. 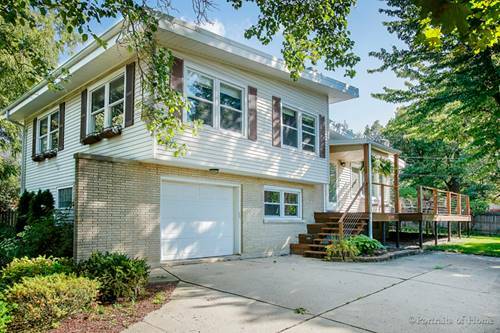 For more information about 139 Mcintosh, Clarendon Hills, IL 60514 contact Urban Real Estate.